Gladys Rosa-Mendoza, Bresslergroup’s Director of Design Strategy and Innovation, is one of a group of business innovation leaders who spoke at The Conference Board’s 5th annual Innovation Master Class conference on October 3rd-4th at Coca-Cola World Headquarters in Atlanta, GA. Through a series of breakout sessions during the conference, Rosa-Mendoza led a “Design Lab: Innovations for a Social Good” workshop where participants honed and applied their design thinking skills to develop innovations for the YWCA of Greater Atlanta and its STEM/Teen Girls In Technology programs for girls and teens. By the conclusion of the conference, the group empathized, defined, ideated, prototyped, and refined proposals for real-world innovations to smooth over pain points and advance the mission of this great Atlanta community initiative. 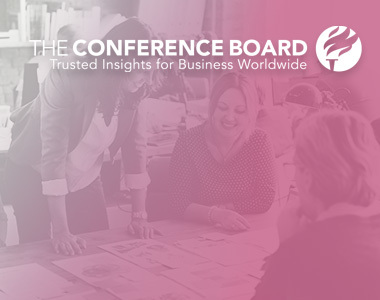 The Conference Board is a global, independent business membership and research association working in the public interest to help leaders navigate the biggest issues impacting business and better serve society.